Contact Please call Tony for a free quote. 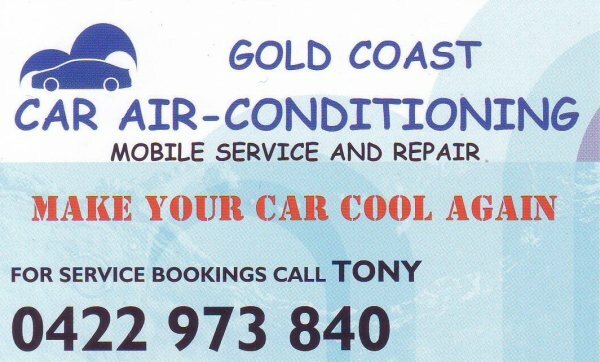 GOLD COAST CAR AIR-CONDITIONING is your ARC Licensed Mobile Auto Air-conditioning Specialist. We come to your home or office to check for leaks, remove old refrigerant, repair a/c (if require), replace filter/driers (if require), then re-gas with new refrigerant. Don't risk using cheaper gas as it may damage your whole a/c system and put you and your family at risk! Please call Tony for a free quote.